Department Identifies Killed Officer As 23-Year-Old Charles Irvine Jr.
Milwaukee's police chief says an officer who survived a fatal squad car crash has been released from the hospital. Milwaukee police say one officer died after the squad car crashed as they chased a reckless driver on the city's northwest side. The rollover accident happened just after 5 p.m. Thursday. Milwaukee Police Department Chief Alfonso Morales said at a news conference Friday that 36-year-old Officer Matthew Schulze was treated and released from the hospital. Morales says Schulze was the squad car driver. His partner, 23-year-old Officer Charles Irvine Jr., died in the crash. Morales said the suspect they were pursuing is a 28-year-old man with a lengthy criminal record. The suspect is in custody, as well as a 45-year-old man and 26-year-old woman. Video footage showed heavy damage to the squad car, which rolled off the road until it was wedged near an overpass. An investigation is underway. Morales said Friday that Irvine died when the police car left a northwest side street and rolled over near an overpass Thursday evening. Irvine worked for the department for four years, the last two as a police officer. Schulze also has four years of service. 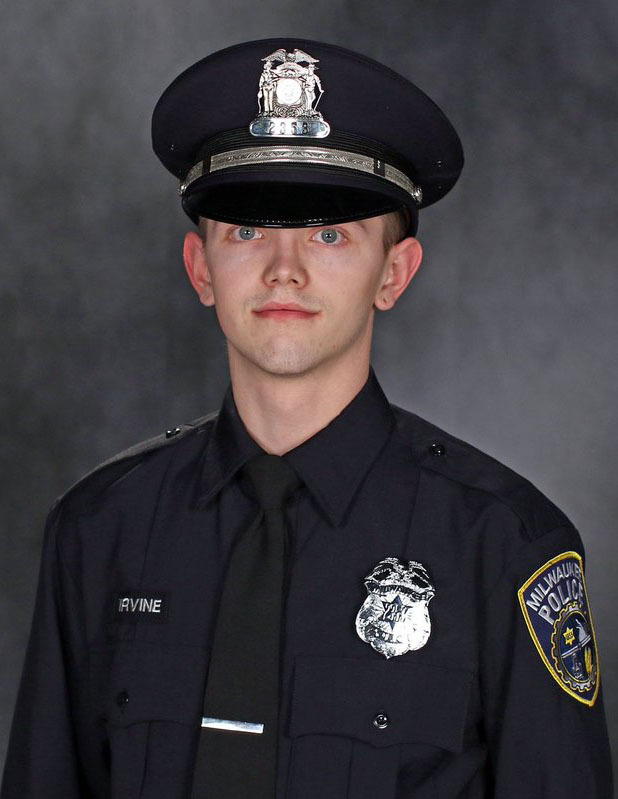 Milwaukee Mayor Tom Barrett told reporters Thursday night that Irvine’s family, the Police Department and the city are suffering after his loss. "This underscores how difficult the job of a Milwaukee police officer is and we ask our community to pray for all of our police officers on this very difficult night," Barrett said. The accident comes nine months after MPD loosened restrictions on high speed pursuits. The Milwaukee Fire and Police Commission ordered former Chief Edward Flynn to change the department's pursuit policy. In September, the department began allowing officers to pursue vehicles tied to drug dealing and reckless driving. Prior to the change, pursuits were only allowed for vehicles involved in violent felonies. 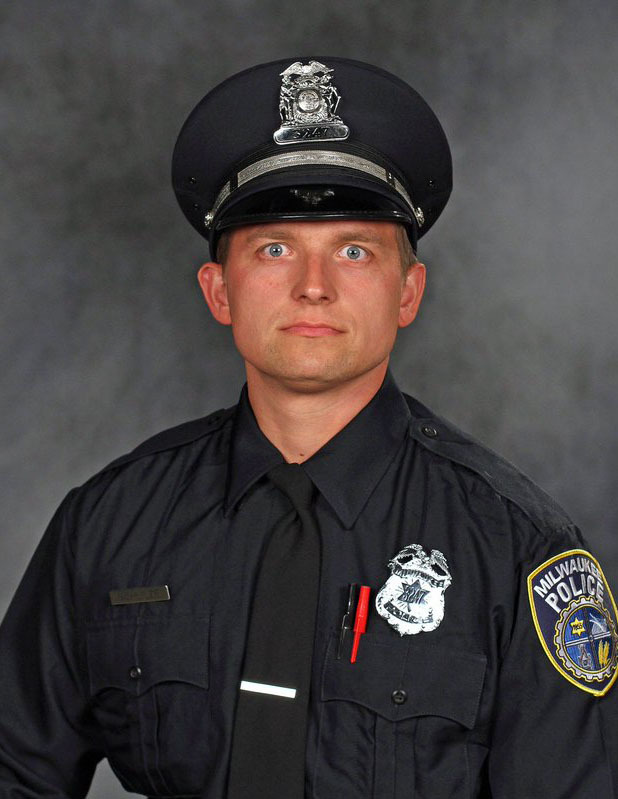 The Milwaukee Journal Sentinel reports Irvine is the first city police officer killed in the line of duty in 22 years. Editor's note: This story was last updated at 1:26 p.m. Friday, June 8, 2018.